Baker inspired, Colby sofa features classic Midcenry frame, Butter knife arms, and reversed camelback back style that is inspired by the latter-the feminine side of modernism-grand. 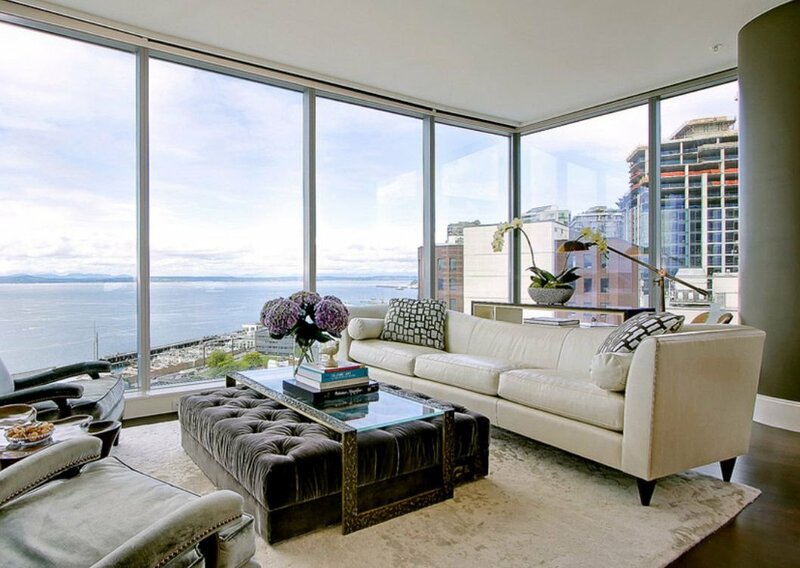 This sofa is comfortable, elegant, and turns every head. 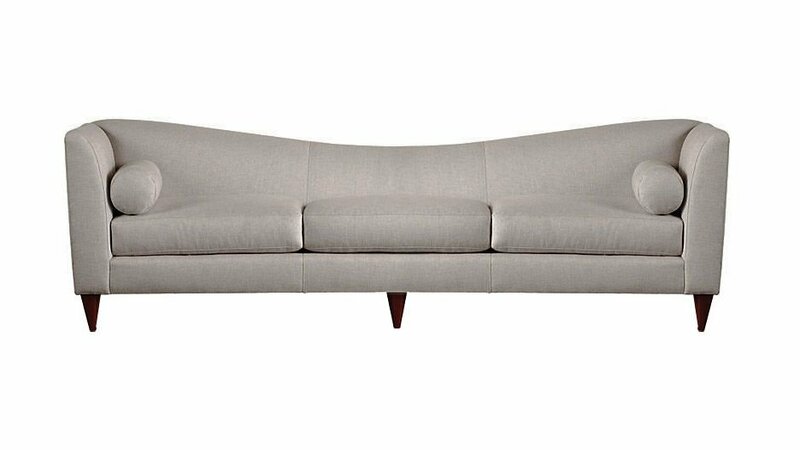 While it can be used against the wall, Colby sofa is meant to float in the room. 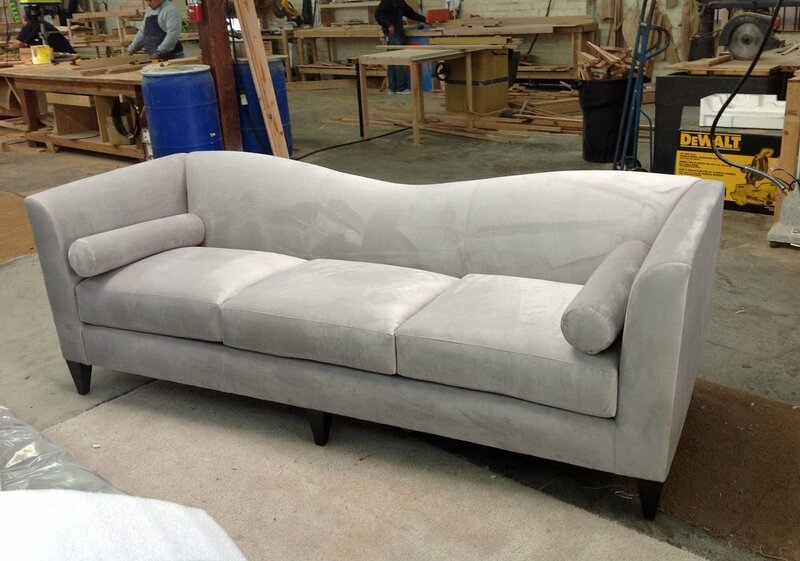 The sofa can be ordered in custom size, as a sectional, choice of custom leg style, cushion fill, and fabric. Please submit Request Custom Quote Form for custom pricing and special requests. If you have a difficult area to design for, want to go COM, or just want an exclusive, different design, please, call Customer Service (214) 984-4128.